The Norman-English invasion and conquest are reflected in many fine castles that King Edward I had constructed along the coastal areas of North and West Wales. King Edward I constructed a ring of castles and towns and peopled them with Englishman to subjugate the Welsh people. 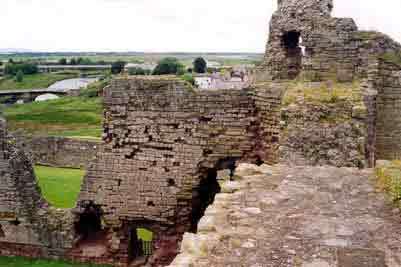 Flint Castle was the first of Edwards English castles built in North Wales. It was began in 1277 and has Shakespearian connections; the third act of Richard II takes place at Flint. 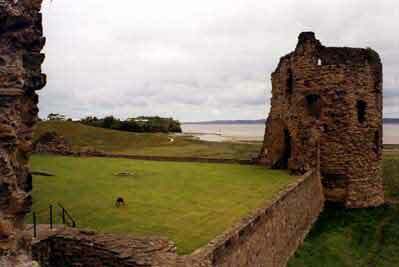 This view from Flint Castle is looking east across the Dee Estuary and the shore of England. 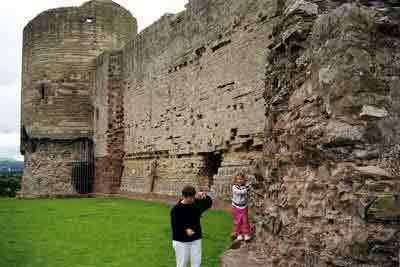 Rhuddlan was the second of King Edwards castles began in 1277 along the River Clwyd. Caernavon Castle was built by King Edward to be a seat of government in North Wales. 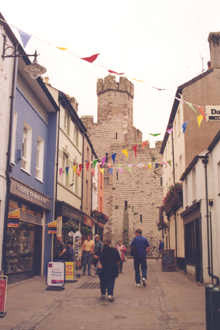 The castle and encircling town walls date from 1283. The castle took thirty-seven years to complete.